The new season at the Royal Opera House opens with a collaborative effort unusual enough to seem a tad startling. Orphée et Eurydice, by Christoph Willibald Gluck, is an 18th-century classic of the first order, mingling singing, dance and orchestral interludes in the service of a timeless Greek myth. To realise it, the theatre is opening its doors to the Israeli-born, London-based choreographer and composer Hofesh Shechter and his company of 22 dancers; and also to the conductor Sir John Eliot Gardiner and his orchestra and chorus, the English Baroque Soloists and Monteverdi Choir. The celebrated Peruvian tenor Juan Diego Flórez sings the title role, the British soprano Lucy Crowe is his Eurydice, and the production is co-directed by John Fulljames and Shechter. When Orphée’s beloved Eurydice dies, the demigod travels beyond the grave to try to bring her back, aided by the power of his music. The story, suggests Fulljames, is at heart all about coming to terms with the loss of a loved one. With all this to relish, the joy of hearing Flórez sing the aria immortalised by the great English contralto Kathleen Ferrier in translation as “I have lost my Eurydice” can only be a bonus. 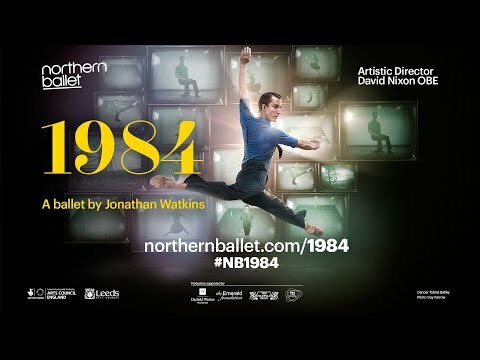 The other day I was talking to Northern Ballet's lead dancer Toby Batley about his new role as Winston in Jonathan Watkins's new ballet adaptation of 1984 and what shocked me was that he said people had kept asking him in anxiety if it wasn't going to be all dark and depressing. 1984? Of course it's bloody dark, I thought, and why ever not? What's wrong with dancing the dark? How has ballet reached a point at which if it's not all tutus and glitter and fairy-tales, people are anxious? Anyway, dancer, choreographer and composer all told me that actually it's not too dark for ballet. It's a love story. A dark love story. So is Romeo and Juliet. I've written a feature for The Independent on the new piece and it's in today's edition. 1984 opens in Leeds next week. See it! If you go to a ballet that tells a story, chances are that you will see a fairy tale, a pastoral idyll, or one of an apparently endless stream of different Alice in Wonderlands. Dance does offer meatier dramas – Romeo and Juliet, Manon or Mayerling, for instance – but there is undoubtedly room for more, and especially for work that tackles gritty contemporary classics. At Northern Ballet a quiet revolution has been taking place in the past decade or so as the company – now 45 years old – has created a fount of new narrative works, most choreographed by its artistic director, David Nixon. Among these are Wuthering Heights, Cleopatra and The Great Gatsby. But next comes a very different production: a new adaptation by the choreographer Jonathan Watkins of George Orwell’s novel 1984. It portrays, famously, a dystopian society dominated by Big Brother’s surveillance, subjugating the individual mind and experiential truths to Party lines perforce. The hero, Winston, enters into a rapturous love affair with his co-worker Julia, only to find himself trapped for betraying the system; under torture his will is broken. Though the book’s concepts are household names – thought crime, Big Brother, Room 101 – it might seem a tough story to express in movement alone; and more disturbing is the idea that some might consider it too dark for dance. Has the medium been primarily associated with escapism for too long? Tobias Batley, who dances Winston, partnering Martha Leebolt as Julia, insists that 1984 is not all gloom. “Many people have voiced their worry that it’ll be a dark and depressing ballet,” he reflects, “but it depends what you take away from it. We’re focusing strongly on the central love story. When I read the book for the first time, years ago, that was the most important part for me. “I feel that narrative dance can appeal in a much more reflective, modern way, with resonance for the times in which we’re living,” Watkins says. “That’s why I wanted to use 1984. And in the book there is that mass control of groups of people by the Party, that military uniformity of a group – what better way to show that than in dance? 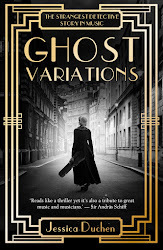 For me there’s lots of scope in that balletic platform.” The single most difficult thing, he remarks, was deciding which elements of the book to leave out. Watkins began his career with the Royal Ballet in London, but left two years ago for freelance pastures new. His work draws on a cocktail of influences, mingling his first-rate ballet training with the impact of film and theatre. On his website you can watch several short dance films that he made a few years ago for Channel 4, bringing the language of ballet right into the here and now. One, entitled Sofa, portrays a dance epiphany for a beer-bellied bloke during a solitary night in; another visualises the interior world of a young man listening to music while waiting for a bus. His Kes (“Everyone in Barnsley knows the Ken Loach film,” he remarks) made a powerful impact, not least for the sheer audacity of the idea. Through his passion for spoken drama Watkins got to know the composer Alex Baranowski, who was working on a range of productions at the National Theatre, as well as writing music for films such as Hamlet, starring Maxine Peak, and the BAFTA-nominated McCullin. The pair have collaborated on several projects, including Sofa amd Kes; for 1984 Baranowski has created a new 100-minute score. And so a new generation of choreographers and composers like Watkins and Baranowski may now reinvent narrative dance for the 21st century, unafraid to engage with the grittiest and darkest of dramas. Bring it on. Temirkanov, Kavakos: Beethoven, Prokofiev powered by medici.tv, the leading online channel for classical music. This concert comes to you live from the Annecy Classic Festival, courtesy of Medici.tv. JDCMB is delighted to share this streaming. Leonidas Kavakos playing the Beethoven Violin Concerto promises to be an artistic experience that everyone should sample, and the concert closes with music from Prokofiev's ballet score Romeo and Juliet. Amusingly enough, the concert's programme appears originally to have contained Bruckner's Symphony No.4, according to the Annecy website. I promise I have had no part in this alteration! Enjoy the concert. Dear Medici, thank you for sharing the streaming. Free Kavakos? Why are they holding him? OK, just kidding. But you can indeed watch and listen to the fabulous Greek violinist Leonidas Kavakos for free on JDCMB tomorrow. We are live-streaming a concert from the Annecy Classic Festival, in a webcast shared exclusively with us by Medici.tv. Kavakos is playing the Beethoven Violin Concerto and Yuri Temirkanov conducts the St Petersburg Philharmonic Orchestra. The second half consists of something rather special that may surprise regular readers of JDCMB. The performance starts at 21:00 French time, so in the UK it will begin at 8pm and in New York 3pm. Further west, I'm sure you can work it out for yourself. I started to go to Pontresina with my parents at the age of 12, more years ago than it's seemly to admit. This mountain resort in the Engadin, south-east Switzerland, with its open, sunny aspect and jaw-shattering scenery became their favourite summer haunt; over the decade that followed I must have been there with them for at least six or seven summers. But I hadn't gone back since 1988 and both my parents are long dead. This being a slightly difficult, landmark, stock-taking sort of year, I had an attack of nostalgia and wanted to visit once more, just to make sure it was still there, still real, and still as good as my romanticised imagination and memory has been making out. It wasn't. It was far better. And there was no getting away from the music. 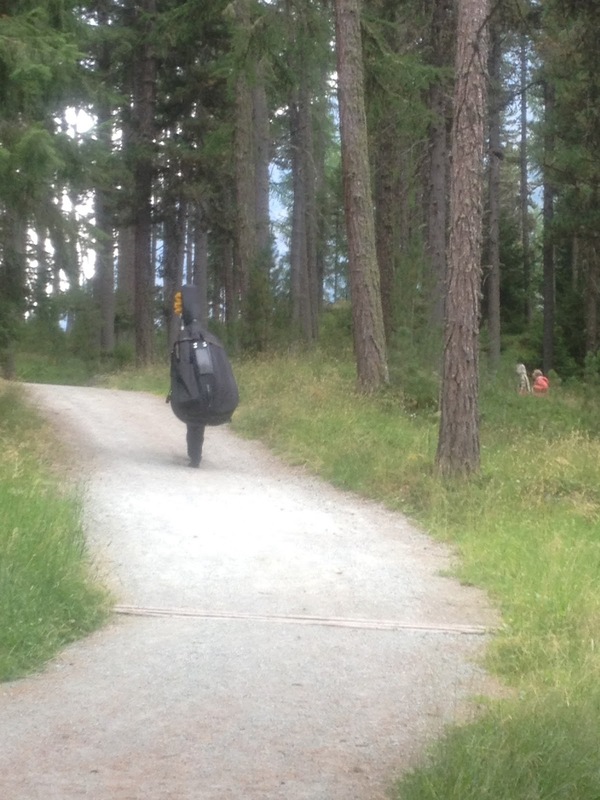 Every day, I remembered, there used to be a free concert in the woods, from 11am to 12 noon. The spot is called the Taiswald: a pine glade near the start of the mountain pathways, where the audience can assemble on benches to listen to an hour-long chamber programme of old-style favourites, lollipops, operetta medleys, arrangements, concerto extracts and more. I dreaded walking that way and finding the place had fallen into disuse. Switzerland seems quiet at the moment - the exchange rate could well be decimating tourism - and after all, people don't go to concerts any more, if the doomsayers are to be believed. Well, they do here. The Taiswald is flourishing. More than a hundred people came to the Camerata Pontresina's concert on Friday, a programme full of juicy tidbits like Offenbach's Overture to Orpheus in the Underworld (which I haven't heard since, probably, my last visit to the Taiswald), Johann Strauss's Music of the Spheres Waltz and Fischer's delicious South of the Alps Suite. Some things have changed with the years: for instance, there's now a printed booklet displaying the programmes for the whole summer. Similar outdoor series take place in nearby towns and villages, among them St Moritz and Sil Maria. The concerts are organised by an impresario in St Moritz who, I'm told, has a personal library of the arrangements. The musicians arrive to play here from all over Switzerland - we met a cellist from the Zurich Opera, a fine young clarinettist who's studying in Lucerne, and of course the double bassist above. They must contend with the vagaries of the elements - Friday was blowy, with commensurate effect on the music on the stands, which they dealt with by using clothes-pegs (though if the weather is too awful the concert takes place in the church or cinema instead). And the trains go by, whistling, and the dogs trot past, barking, and occasionally newcomers arrive, open mouthed with surprise at finding such an eccentric pastime taking place in the forest - and sometimes they sit down to enjoy the music. As for the piano: it lives in the pavilion year-round, winter included. It still sounds relatively OK. The Taiswald, it turns out, is an old and proud tradition. It has been going since 1909; in 2009 centenary celebrations were duly held. Among those who came across it and sat down to listen many decades ago was Richard Strauss - who was apparently scandalised by hearing an arrangement of a Mozart symphony for quartet and said it should be forbidden! Strauss. I didn't realise how important Strauss was to me. I just never thought about it. I took him for granted. But the fact remains that the first piece that switched me on to orchestral music in earnest was his Don Juan. I was given a ticket for a Royal Phil matinee at the RFH when I was 12 and it opened with the tone poem, which I'd never heard before. When it flew out at us, the energy lifted me and held me up and I remember falling head over heels in love with the whole thing on the spot. I wanted to be part of it. Don Juan swept me off my feet. Eventually, having not managed to become part of an orchestra myself, I married a violinist who was - and in whose background Strauss features prominently. Tom's great-grandfather was a Berlin businessman with a summer house in Bavaria, not far from Garmisch-Partenkirchen, and he knew the composer well; indeed, was a Skat-playing companion on summer evenings by the lakes. Last Friday, we went to listen to a talk in the Hotel Saratz by the Swiss singer, musicologist and moderator Claudio Danuser about Strauss's connection with Pontresina. When Strauss's villa in Garmisch was requisitioned by the Americans at the end of the war, Strauss and his famously cantankerous wife Pauline took off for Switzerland. They moved hotels frequently because Pauline, true to form, kept falling out with the staff. But the family-run Saratz in Pontresina was a special favourite. Claudio had interviewed the proprietor about Strauss's stays there and was full of fascinating stories - among them, the Taiswald occasion mentioned above. Another time, the couple walked into the dining room and found musicians accompanying dinner. "Richardl," said Pauline, "play some Johann." In the hotel garden is a wooden pavilion with a view across to the mountains of the Val Roseg, along which a favourite walk can be taken. It was in this structure in 1948 that Strauss completed the last of the Four Last Songs to be composed - 'Beim schlafengehen', ultimately the third in the set. I've always felt there is nothing in all 20th-century music that can quite compare with the beauty of this song and its violin solo. It sounds matter-of-fact and so-what-anyhow to tell the story; but when something and somewhere and someone and that music have been as much part of you as your own nose for such a long time and you then learn something new about how it all connects, it feels quite another matter. Here's the Strauss - sung by Nina Stemme. I headed first for Munich and the Bavarian State Opera, steamy in the midst of a massive heat wave; here the final night of the annual Opera Festival brought Jonas Kaufmann and Kristine Opolais together again for Puccini's Manon Lescaut, relayed to the city on big screens and webcast to the world. This was the production by Hans Neuenfels that at the start of the season saw Anna Netrebko drop her participation, citing "artistic differences". It's a bit of a mixed bag. The relationship of Manon and Des Grieux and its development is by far the most convincing element, and so it should be; the final act, the two of them in extremis, is a searing tragedy, full of struggle - Manon's passion fighting against the invasion of death, thumping the ground to bring back her despairing lover to her side. Opolais blossomed vocally and dramatically in the role to an even greater extent, perhaps, than she did at Covent Garden last year; Kaufmann simply soared along at the summit. Fine singing throughout in the supporting roles and chorus - but I am not sure I will ever get my head around the necessity for this chorus to wiggle about in fat-suits and pink wigs. Alain Altinoglu's conducting too brought patchy results: the opening tempo felt extremely fast, and some of the accompaniment was too loud, but often - not least in the intermezzo - it held a gorgeous eloquence. Here Neuenfels, Altinoglu, Opolais and Kaufmann explore and explain the concept and the challenges of the opera. A few days later, discussing the issue of the fat-suits and other potentially dubious details with friends who loved the production, I tried to see it their way: it shows Manon and Des Grieux defying convention, a pair of individualists in a world in which everyone else looks and behaves the same (except, presumably, for the Dancing Master, who turns up bearing some resemblance to an orang-utan, perhaps a refugee from Munich's old Rigoletto production set on the Planet of the Apes). As the introductory film declares, Manon and Des Grieux are seeing the world around them as nothing more than a preposterous installation compared to their love. Yet Jonathan Kent's production at Covent Garden last year spoke far more to me of the darker truths of this story in an incarnation for today's world, where it remains the most "relevant" opera of them all. So what's the essential problem with Manon Lescaut? It could just be that the original book is a short, terse, taut, action-packed, 18th-century thriller. It shows us Des Grieux torn apart by his passion for a girl who wants to have her cake and eat it and whose charm makes her attractive, but who is more anti-heroine than sympathetic lead. 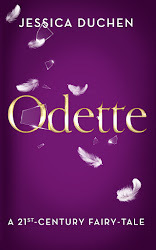 Romanticising her never quite works, and that is not the fault of Puccini, nor of any director: it's simply that Abbé Prévost's novel is too finely wrought to allow such a metamorphosis. Maybe that is why this opera, which blossoms with phenomenal music from start to finish, still does not have quite the same currency on the stage as Madame Butterfly or La Bohème. If any director has found a way to make the drama work 200 per cent, I haven't yet seen it. More on the joys (?) of Regietheater shortly - from Bayreuth. But even with all these reservations, it was a tremendous performance and an unforgettable evening. Oh, and if you'd managed to get backstage at the Staatsoper that night and you had this photo, you'd put it on your blog too.